Sharks Restaurant & Billiards located at 10320 Shawnee Mission Parkway in Shawnee Kansas opened in 2006 and is locally owned and operated by life-long residents. We are a 14,000 square foot full-service restaurant and gaming facility that offers a wide selection of entertainment choices for the whole family or a night out on the town! 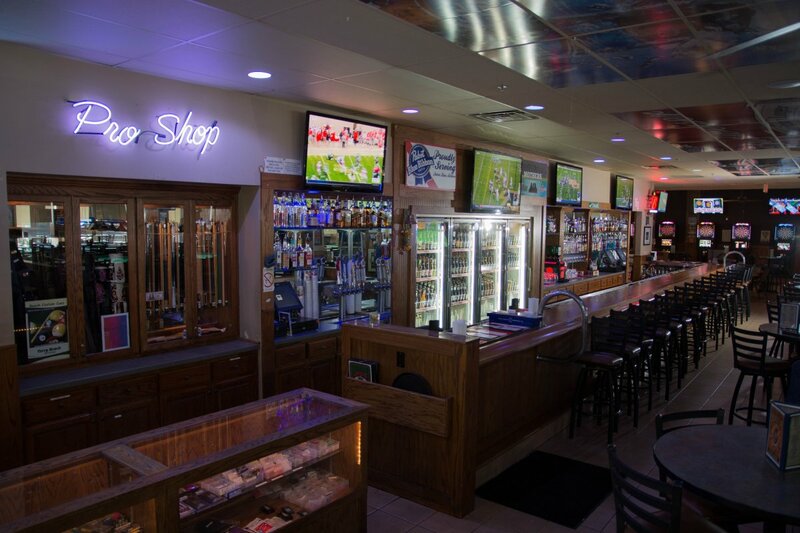 20- 7 ft pool tables, 4- 9 ft pool tables, 12 dart boards, 10 steel tip dart boards, 4 foosball tables, 1 Golden Tee Machine, over 40 TVs, 2- 10 ft projection screens, free Wi-Fi, and much more!